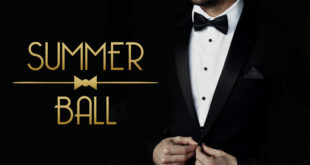 WBro Jack Summerfield provided the following comments from the evenings of Celebrations. 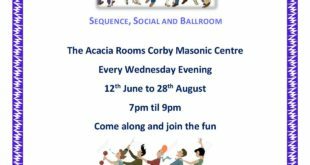 Two Corby Lodges, Corbie No. 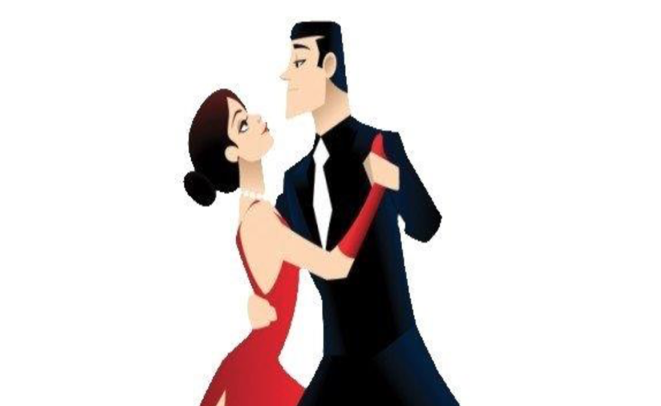 9155 and Ferraria No 8489, celebrated significant milestones within 6 days in March resulting in two fantastic evenings. 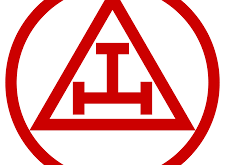 Both meetings were very well attended and both lodges reciprocated with visits to the other Lodge. 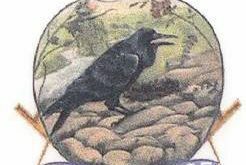 Corbie Lodge kicked off the celebrations with their 300th meeting on Thursday 14th March. WBro Lou Orsi PAGDC, AsstProvGM was the Official Visitor on the night accompanied by WBro Paull Hoffmann ProvAGDC. VWBro Wayne Williams PGSwdB, PAsstProvGM also attended, being an honorary member of the Lodge. 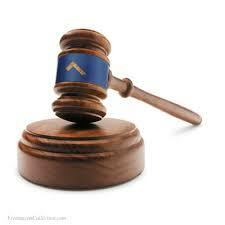 During the evening Bro Ronan Keegans was raised in a great ceremony which was led by the WMaster Bro Ian Lapsley. 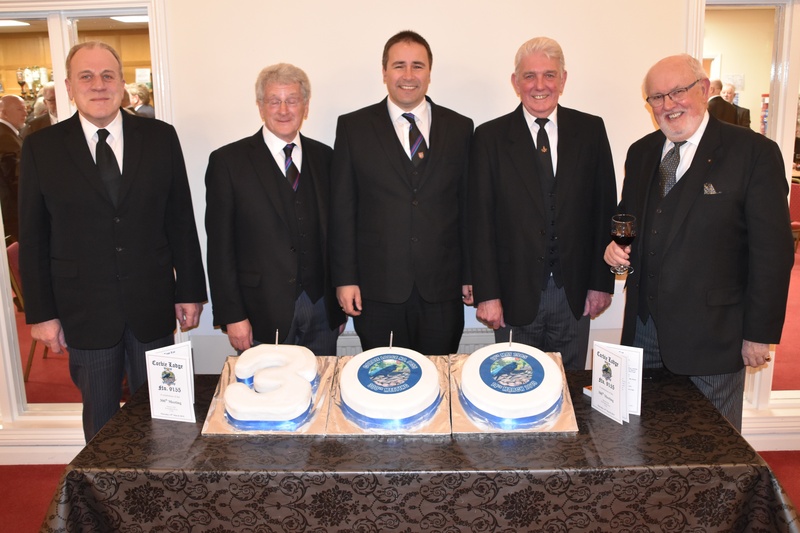 Corbie Lodge’s two remaining founder members WBro Mike Coleman PPJGW and WBro Peter Konarczak PPJGW were presented with a commemorative glass and a comic printed on the day of the consecration. 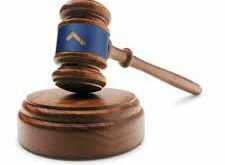 The festive board included a quiz about Corbie Lodge – which was won by a Wellingborough Mason, WBro John Marlow! VWBro Williams was presented with a Bottle of Whisky and WBro Orsi came away a new set of hub caps along with a bottle of whisky. 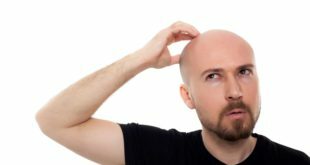 (Funny Story – hehe). 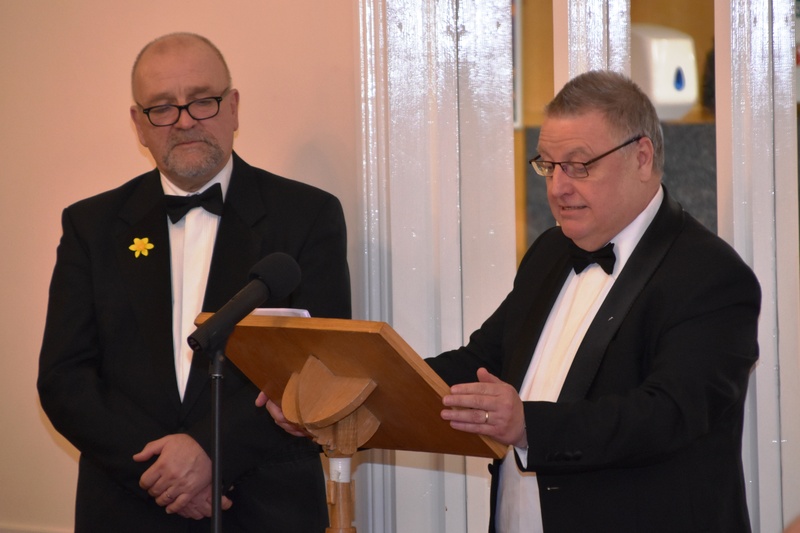 WBro Mike Coleman gave a great toast to the visitors and recanted on some of the characters of the Lodge, most sadly having passed to the Grand Lodge above. 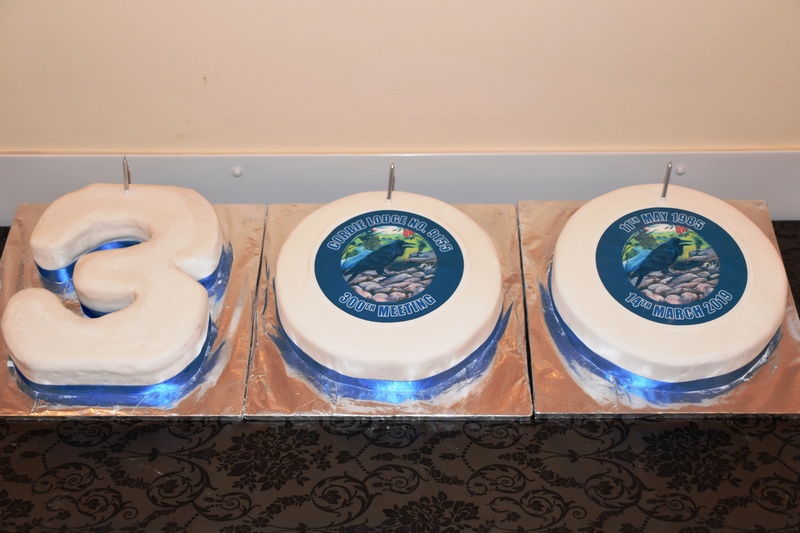 Everyone left having enjoyed a fantastic evening and a piece of the very tasty cake made by Mrs Sandra Summerfield. 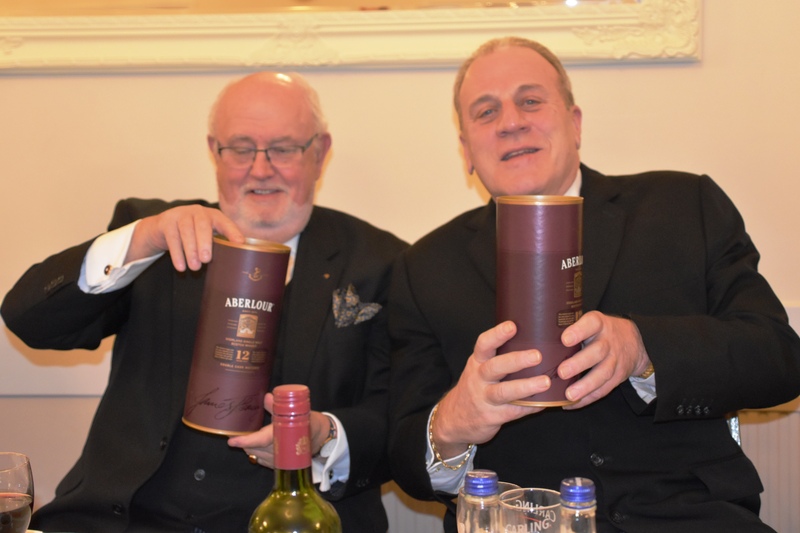 VWBro Wayne Williams PGSwdB, PAsstProvGM and WBro Orsi PAGDC, AsstProvGM and each receive a bottle of whisky. 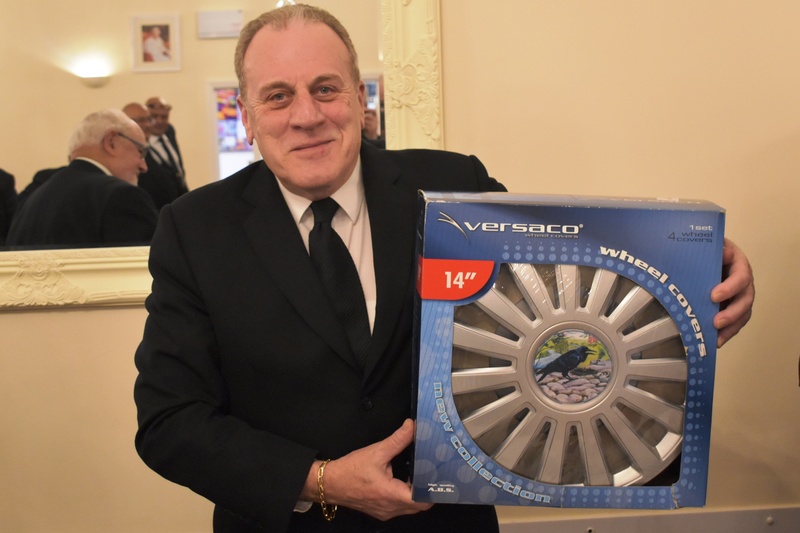 WBro Orsi PAGDC, AsstProvGM takes home a set of hub caps. 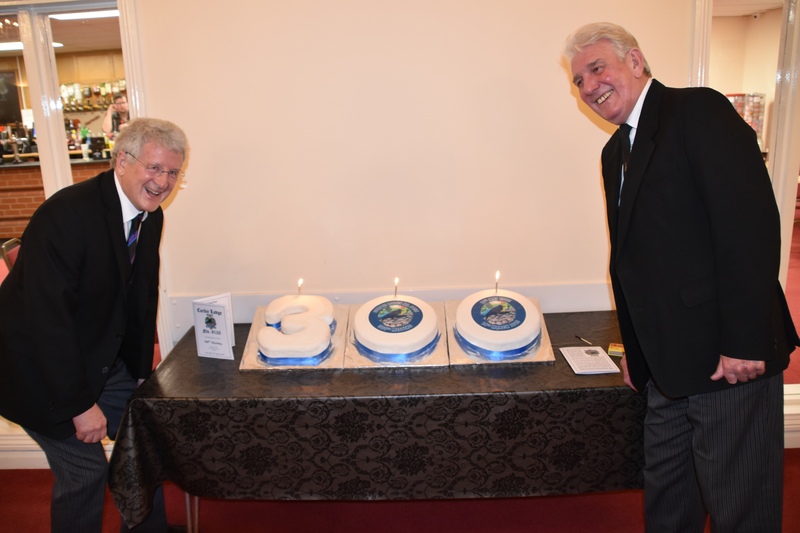 With only a few days of rest in between Ferraria celebrated their 400th meeting on Tuesday 19th March. 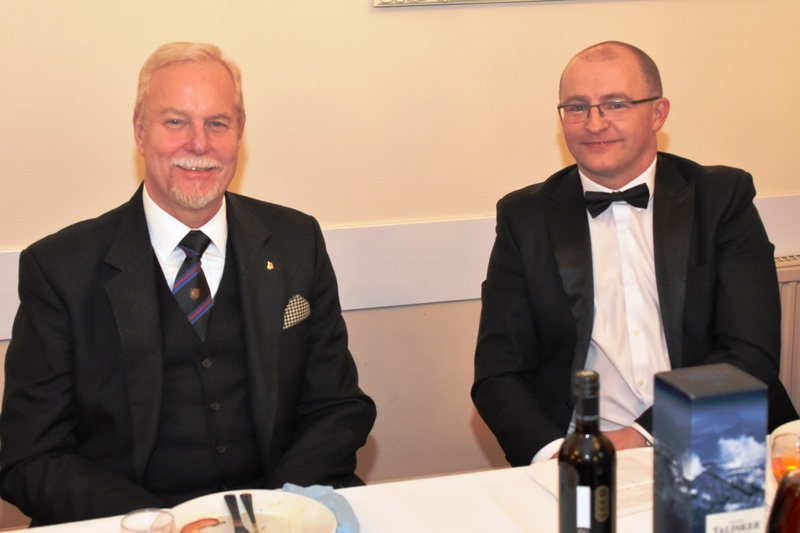 WBro Charles Bennett PSGD DepProvGM, was the official visitor on the evening accompanied by WBro Bill Abram ProvAGDC. The WMaster Bro Richard Skillen took charge of a very enjoyable ceremony in which Bro L Crozier was passed. 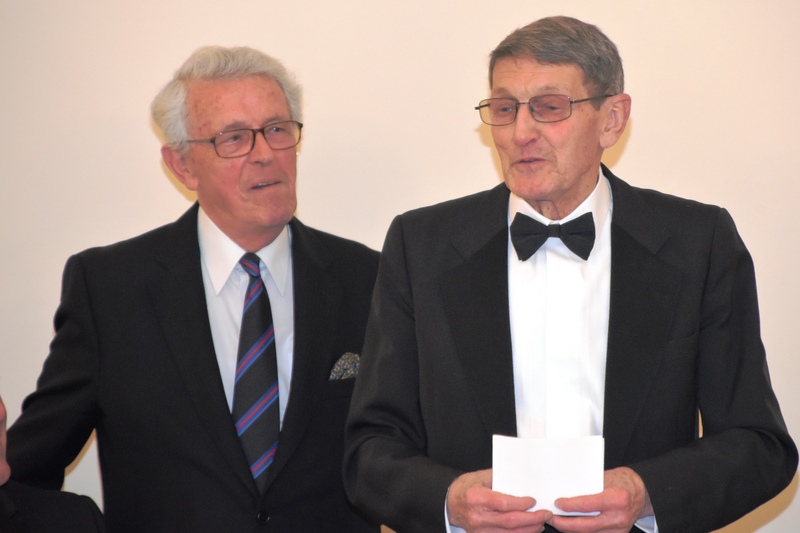 Ferraria’s two remaining founder members W Bro Barry Cole PJGD and WBro John Hallum PPSGW were presented with a gift vouchers from the Lodge and WBro John Hallum recanted some memories of his time in the Lodge in his thank you speech. 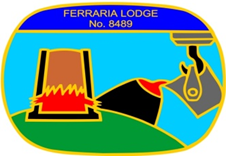 The Festive board was a special 70’s style meal based on the first Ladies Night of Ferraria’s Lodge back in the 1970’s. WBro Stephen Burton PProvSGD, Corby Group Officer and Bro Robert Poulter took us on an enjoyable journey back in time starting from the forming of the Lodge which was consecrated on 19thMay 1973 through the 100th then 200th meeting each time reminding us of significant events and popular culture of the day. 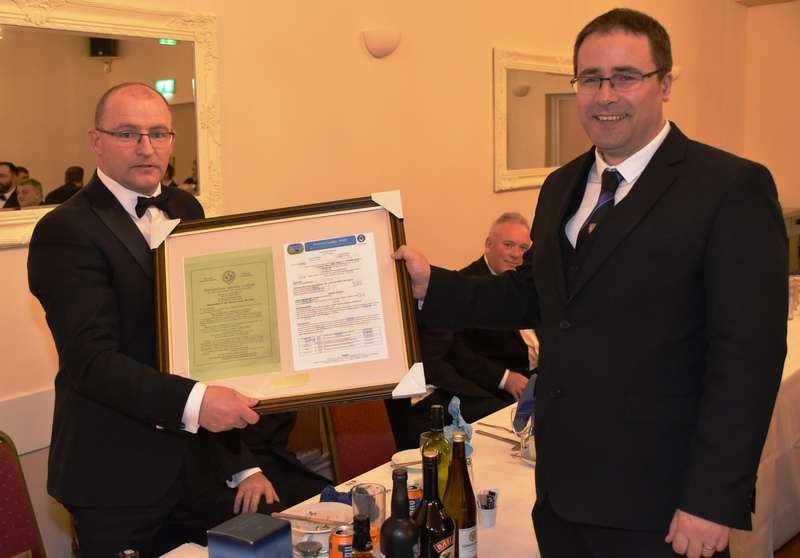 At the end of the evening WMaster of Corbie Lodge, Bro Ian Lapsley presented WMaster Richard Skillen with a framed copy of the original Consecration Summons alongside the 400th Summons. 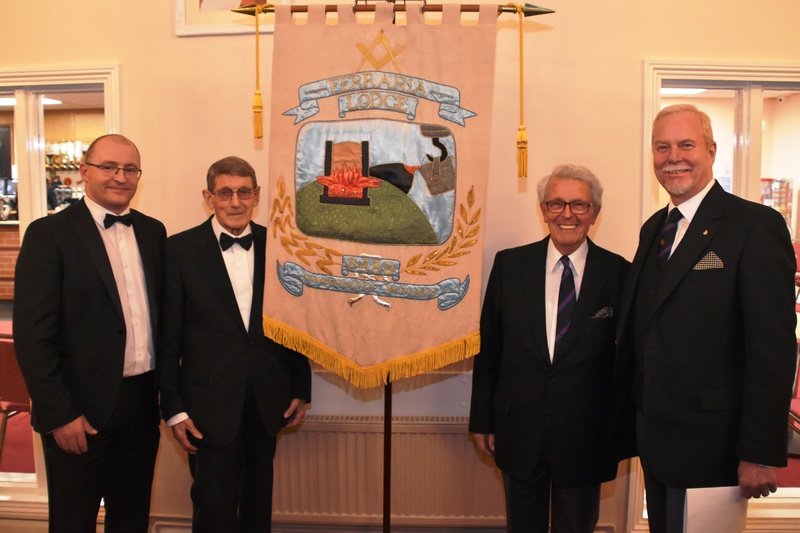 WMaster Bro Richard Skillen, WBro John Hallum PPSGW (Founder), W Bro Barry Cole PJGD (founder) and WBro Charles Bennett PSGD DepProvGM with the Ferraria Lodge Banner. 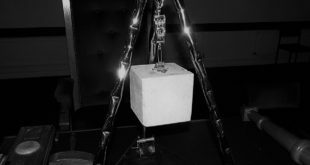 WBro Stephen Burton PProvSGD, Corby Group Officer and Bro Robert Poulter take us back to the future. 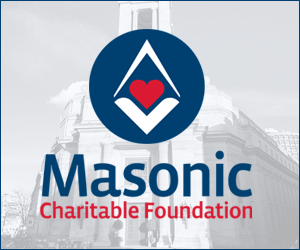 Next Provincial Grand Charity Steward needs your help.